Since the announcement of the Severn Bridge toll being scrapped in 2017, house prices in Newport, Monmouthshire and Torfaen have gone up dramatically, rising 13.2% since last summer. With the toll due to be axed on the 17th of December, it’s likely house prices will continue rising up to and after this date. With that in mind, there couldn’t be a better time to add value to your Newport home so we’ve listed a number of the best ways for doing so. 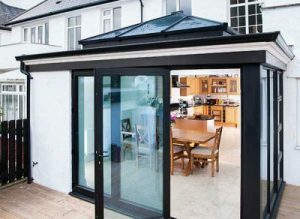 Increasing your living space with a conservatory or orangery will bless your home with a stunning focal point as well as providing you with a range of practical benefits. Perhaps best of all, though, it will add value to your home; having a conservatory installed can add up to 5% to your property’s value. However, unless it’s well-installed and the right fit, a conservatory won’t add much value. Therefore, it’s important to hire conservatory specialists, like us, for the job. Replacing old windows and doors with new, energy efficient ones. The double glazing on our windows utilises the latest thermal technology, ensuring they’ll dramatically increase the energy efficiency of your home. Converting your loft into a bedroom can increase the value of your property by up to 15%. It’s possible to convert most lofts, however consulting a builder or architect will eliminate any uncertainty on the issue. Also, it’s worth bearing in mind that the most cost-effective loft conversions involve the least amount of structural work. Perhaps that 10-year-old coat of paint has been mostly chipped away, or the carpets have been subjected to so many spills down the years that absolutely none of their original vibrancy is left. However, adding a neutral coat of paint can really brighten up your walls and replacing or cleaning the carpets will make sure a buyer doesn’t devalue your house under the premise that they’ll need to replace them. Technology plays such an integral part in people’s lives nowadays that numerous electrical sockets are essential. Having too few sockets is unlikely to add much value, however not having enough of them may deter potential buyers. 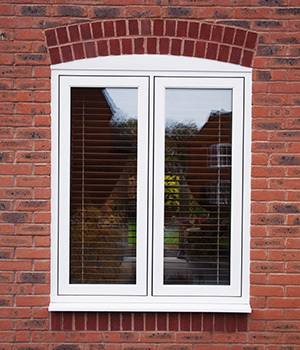 For double glazing Newport, Monmouthshire Windows are a wonderful choice. For more information on how to increase your home’s value, get in touch with us today. This entry was posted in Doors, Windows by Purplex Marketing. Bookmark the permalink.